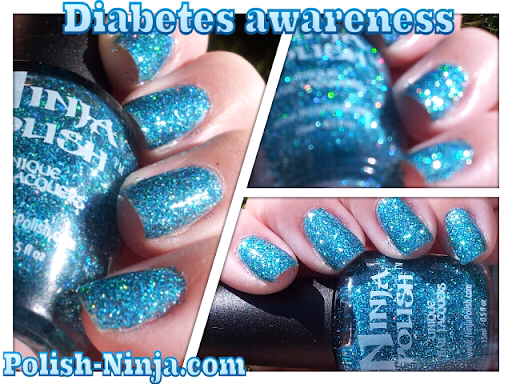 Today the nail polish community is band together to raise awareness for Diabetes. I have family and dear friends affected by this disease. I pray for the day when this disease can be eradicated. For more information about World Diabetes Day, visit this website! For this mani I used Ninja Polish Bing! Caribbean Reef, 3 coats.